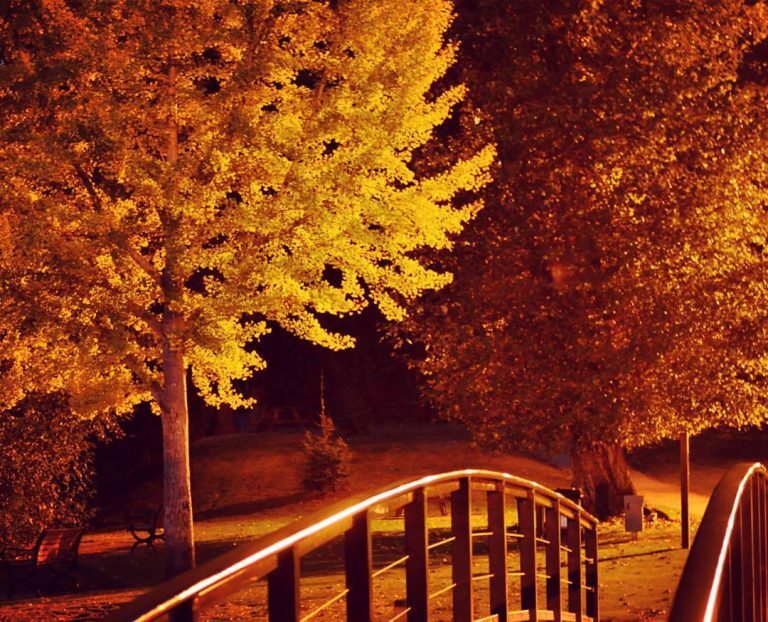 The Bright 2019 Instameet is our 4th Autumn instameet for photographers keen to shoot, share and find out all the best locations to capture the ultimate Autumn colours in Bright and surrounding towns. We had a lot of fun last year and there were some amazing shots that came out of it so we are keen to go again. The dates for this year’s instameet are Friday 26th April till Sunday 28th April. 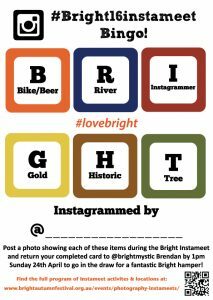 Hosted by @brightandsurrounds, @brightmystic and @brightbrewery who will share their local knowledge of some of the superb photo opportunities in the region, it promises to be a fun weekend and a great opportunity to meet other Instagrammers. Plenty of other events fall on this weekend as part of the festival including the Wandiligong Nut Festival. For more information, direct message @brightmystic on Instagram or email enquiries@brightautumnfestival.org.au. Tickets for the Bright Autumn Instameet 2019 are now available at https://bright19instameet.eventbrite.com. We’re limited to 44 guests, so get in early. Full details of the program are available there. Friday 26th – Sunday 28th April 2019. So excited to have Mieke Boynton, award winning photographer and local to our region as aprt of this year’s instameet, providing a presentation on Saturday morning. Her work is amazing. Please note that we are happy to have drones on the Instameet but Parks Victoria has asked when we go to Mount Buffalo that we abide by their rules and do not use them in the National Park. We have a prize of a hamper of local produce for one of our Instameet participants. To be eligible, you just need to complete our Bright Bingo Card. This is a previous Bingo card. Stay tuned for details of this year’s Bright Bingo. 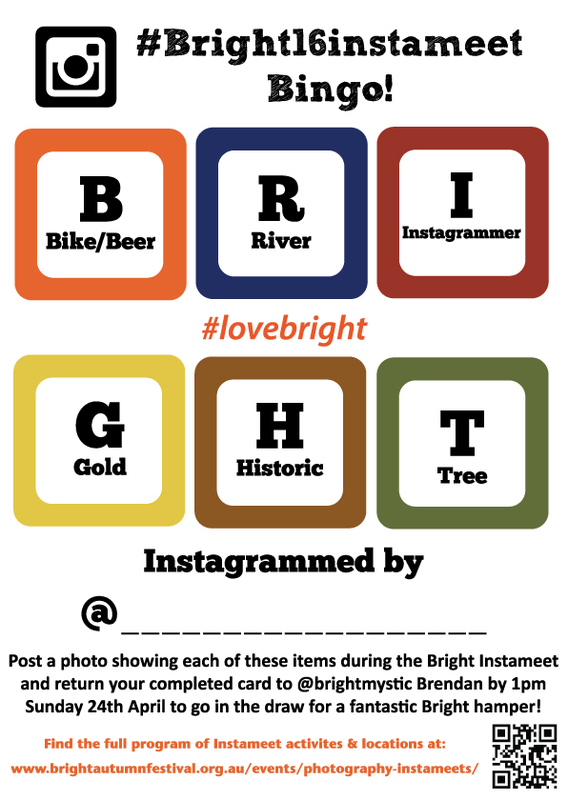 You will be able to follow this year’s instameet by following the hashtag #bright19instameet). Our previous Instameet photos can be seen via our hashtags (#bright16instameet, #bright17instameet, #bright18instameet).